After recent claims that they were going to stick the boot in on clubs with racist fans, it’s now time for UEFA to earn their keep. 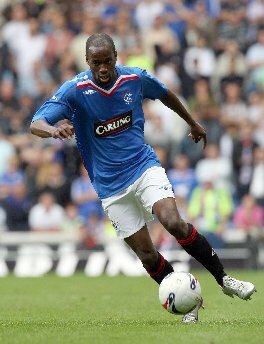 UEFA have stated that they will hold an inquiry into alleged racist taunts aimed at DaMarcus Beasley and Jean-Claude Darcheville, during Rangers’ 1-0 Champions League qualifying victory over FK Zeta. UEFA spokesman William Gaillard told BBC Five Live: “We have decided to open an investigation as there were many witnesses who reported the problems. Our policy is zero tolerance towards racism. We take this issue seriously.” UEFA have hinted that clubs could face expulsion from tournament for racism, but, have we heard it all before? Surely it’s time for UEFA to show their strength and power by acting swiftly and harshly if claims are proven true. UEFA are also going to have to look into incidents that saw bottles being thrown from the home fans after Zeta were denied a penalty. To add to this, Rangers substitute Charlie Adam was struck by a lighter. With Red Star Belgrade potentially the next opponents for Rangers, UEFA need to act strongly as Serbian outfit are also known for racist chanting. However, with Rangers being very much the victims in this case, one has to look closer to home if UEFA are to act even handedly and fairly. We all know that many Rangers and Celtic fans take great pride in their sectarian songs during games, in which case, Rangers would need to be punished if found guilty of such chants (notably the ‘Billy Boys’ song that sees fans chanting “We’re up to our necks in Fenian blood… Surrender or you’ll die.“). It would be easy to accuse any Rangers fans with a complaint of hypocrisy, but we must remember that not all ‘Gers fans sign up to the sectarian aspect of the Ibrox club. By the same token, presumably Zeta fans have decent fans who are appalled by the actions from the game. How should UEFA act? Any punishment will harm the decent fans that exist, but surely, that is a necessary evil if progress is to be made? It seems Serbia is getting into trouble for this every few months. They really need to crackdown, regardless of whether it may unjustly punish the ‘good’ fans.